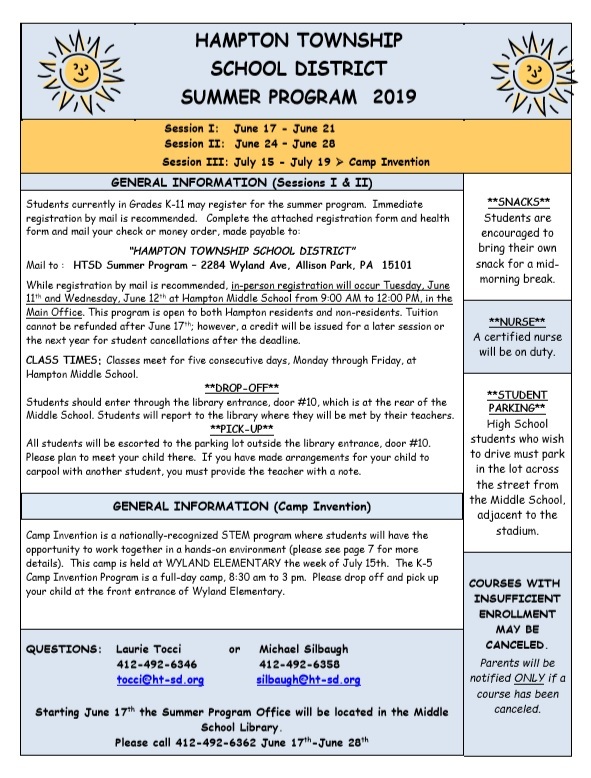 In partnership with the Allegheny Intermediate Unit, Hampton Township School District is able to offer its students the opportunity to participate in full-time online school. Enrollment in the Hampton Online Academy is based on a process which could ultimately lead to an agreement between the school district and the student's family to complete their education from home. The Hampton Online Academy gives students the opportunity to complete school work using online curricula at home, while allowing Online Academy students the opportunity to participate in extra-curricular as well as school-sponsored activities in the District. 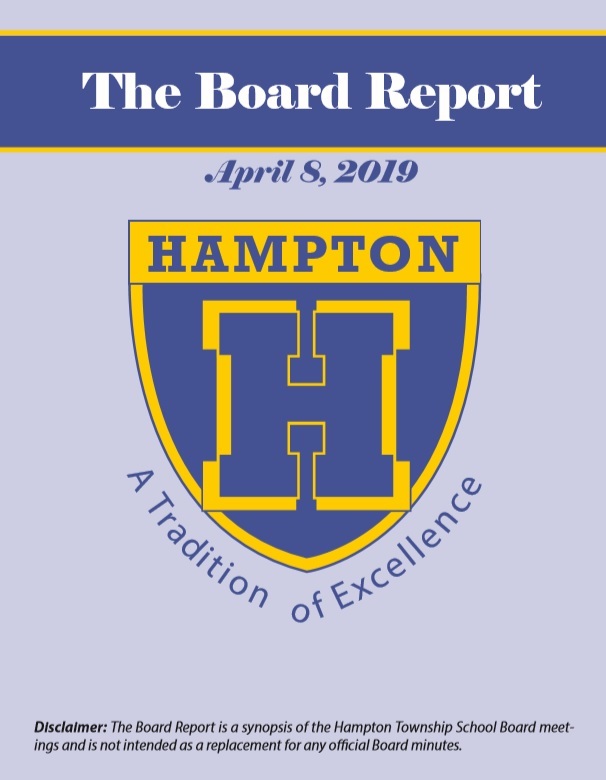 In addition, Hampton Online Academy students who complete all of the program requirements will be awarded a Hampton Township School District diploma and will be eligible to participate in Hampton High School commencement exercises. *NOTE: The computer and related equipment remain the property of Hampton Township School District. All equipment is collected at the end of the school year in order to perform basic maintenance and updates. The equipment will be redistributed at the start of the new year. The student and parent/guardian are responsible for any lost or damaged equipment.